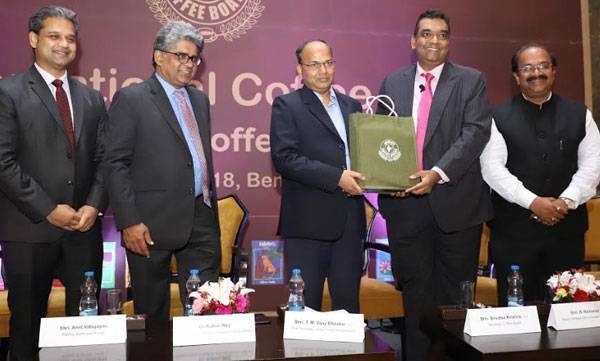 Naya Bharat: Coffee Par Soch, is a innovative quiz organised by the Coffee Board in Bangalore to mark International Coffee Day on October 1, 2018. 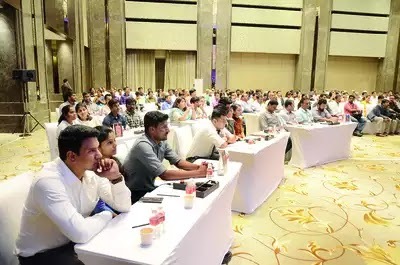 The event held at Shangri-La Hotel witnessed 19 teams that participated including a four-member team of bureaucrats from the Karnataka government. The idea was to help consumers appreciate coffee and celebrate those who are a part of the farm-to-cup journey of Indian coffee. Eight teams made it to the finals. Coffee House Er Adda emerged as winner, walking away with the prize money of Rs 1 lakh. The team comprised journalist Sreshth Shah, molecular biologist Berty Ashley, freelance translator Akhila Phadnis and Preetham Upadhya, a student of PES University. While the first runner-up was Team Frappelicious, winning the prize money of Rs 80,000 the second runner-up was the team from Government of Karnataka. They won a stay for two nights and three days at Plantation Trails.